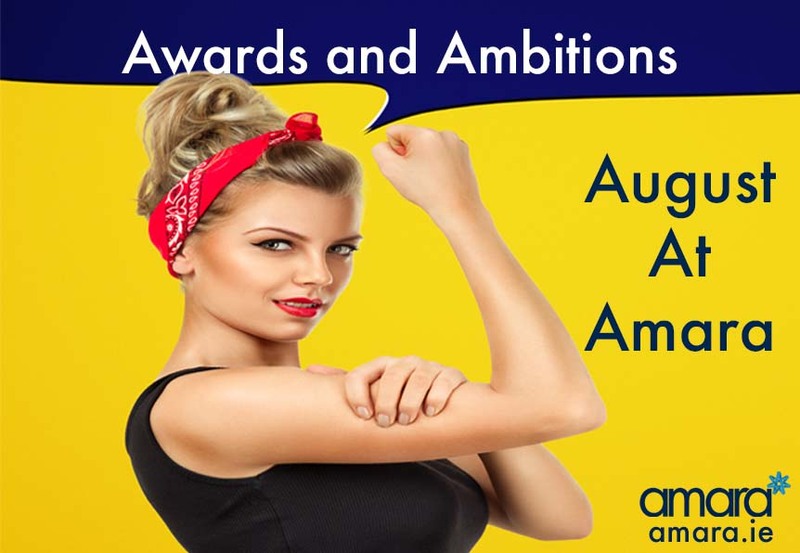 August at Amara: Awards and Ambitions! What a couple of weeks it’s been for us here at Amara! Yesterday we found out that we have made the final list category at the Littlewoods Blog awards – Thank you so much for all your votes! The Awards will take place on September 15th in Dun Laoghaire at the circus of all places! Will you be going? “The team over at Amara Clinic are not only up to date with all the latest beauty trends but also with all the latest Social Media and PR trends. They have an informative blog answering all health and beauty questions and are also super on social media. They also have digital influencers flocking to their clinic. Now we are up for two awards at the My face My Body Awards! My Face My Body are a UK based awards with some of the leading UK clinics being nominated in different categories. As a small clinic we are delighted to say we have been nominated for 2 different awards. The voting links are still open for these and as a clinic with a small but dedicated team we would be so grateful for your Votes!